Wireless charging is not something really new but there is still room for improvement and just recently, Fujitsu Laboratories Limited has announced a much higher efficiency wireless charging technology targeted for smartphone market. Instead of relying on electromagnetic induction that being widely deployed by other manufacturers, the new technology is claimed to be using magnetic resonance mechanism that can greatly enhance its efficiency with greater coverage radius for speedy charging wirelessly. Besides much efficient charging, the technology is also having another great advantage with ability to shrink down its receiver and transmitter’s form factor so that it can be fitted into much compact design, which is merely 1/150th of what being required in current technology. On top of these, it enables multiple portable devices charging simultaneously without the need to align the charging devices to the wireless charger like current restriction using electromagnetic induction technology that greatly enhance its usability. According to its early prototype demonstration, the wireless charger can charge mobile phones in the range of few feet with sustainable 85 percent charging efficiency. 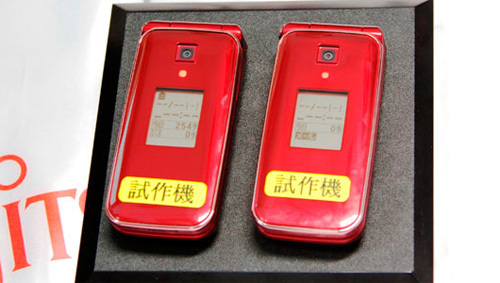 No pricing information yet, the Japanese company plans to commercialize its products by 2012 for portable mobile devices first, and eventually targeted for bulkier end products such as electric cars in short future.